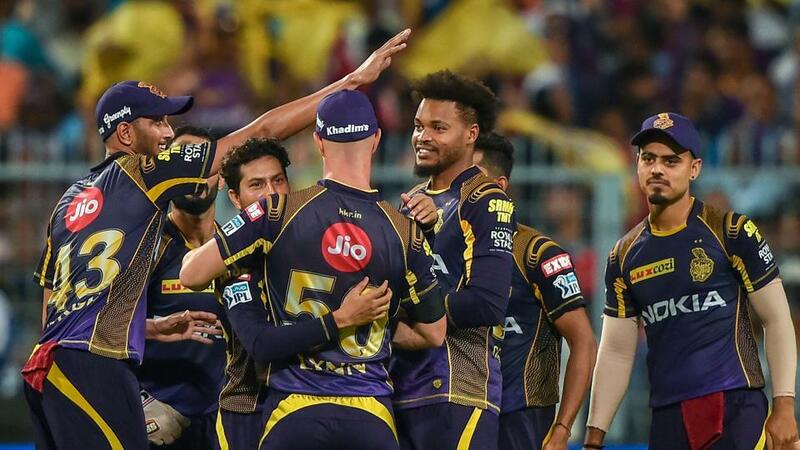 KKR captain Dinesh Karthik praised his players for their all-round clinical effort in his side's eight-wicket win over Rajasthan Royals in an IPL match but believes there is still some room for improvement. "In India, you get to play on a lot of slow surfaces and you need to adapt to them. We need to improve in a few situations, but that's always the case," he added. Asked about his side's debutant Harry Gurney pacer who took two wickets for 25 runs, Karthik said, "Well Harry (Gurney) is a true professional, he has played in leagues all over the world." Gurney, on his part, said, "It was a pitch that suited my cutter options, so a nice one to make my debut on. I work hard on my variations and on my yorker and it is nice to have them in tough situations, although I didn't use it much tonight. KKR opener Chris Lynn, who scored 50, said, "I rode my luck again. But we knew we had to go hard in the powerplay. It slowed up as the innings progressed. It was a nice powerplay and we were in cruise control after that." On the ball which he inside-edged but did not dislodge the bail after hitting the leg stump, he said, "I nicked it, so I thought I was gone one way or the other. It happens in T20 cricket. Rajasthan Royals captain Ajinkya Rahane rued that his side were short by 10-20 runs. "I think on this wicket 150-160 would have been good. We had runs on the board and a slower wicket. But, I don't think we bowled to our plans. Lots of learning from this game though. Such things happen in cricket, we need to learn from our mistakes," he said. "I think we should focus on playing good cricket and improve in the upcoming games.